The talons were out, and they were sharp. 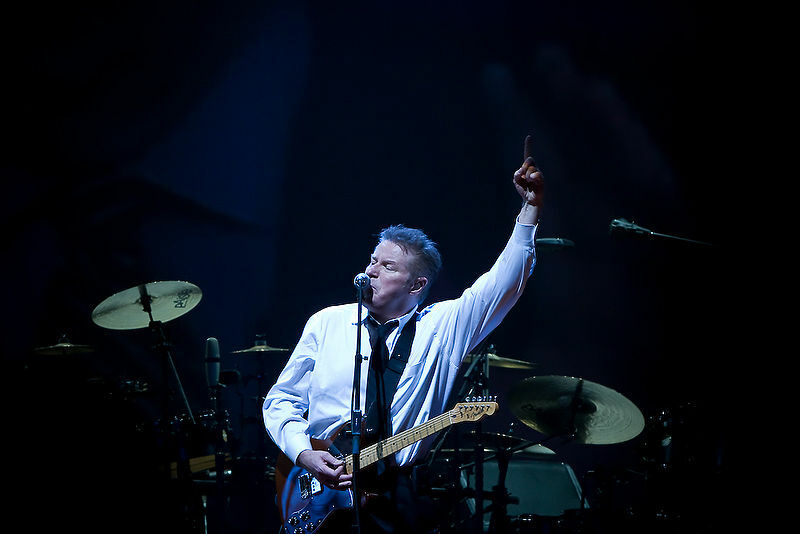 Don Henley continued his reign as the Eagle you don’t want to mess with when he reached a settlement with U.S. Senate candidate Chuck DeVore, who was guilty of parodying Henley’s hits, “The Boys of Summer” and “All She Wants to Do is Dance” during his California-based campaign. Henley stated that the fact DeVore is a Republican is not why he pressed charges, saying that it “was not a question of political ideology, but the right of artists to control the use of the works they create, and protect their livelihoods.” In recent years, such court cases are becoming more and more common, most notably Jackson Browne settling with the McCain campaign for using his song, “Running on Empty” without proper permission during the 2008 Presidential Elections. Somewhere a hipster is screaming in joy, and not just about a double rainbow. Devendra Banhart and Beck collaborated on the track“Life During Wartime,” made for the Todd Solondz film of the same name. However, neither Banhart or Beck actually wrote any part of the song. Solondz wrote the lyrics and Marc Shaiman wrote the music. Aside from the reference to “throwing out your iPhone,” the song seems pretty timeless and overall, pretty good. A planned Jerry Garcia biopic will not be able to use any original Grateful Dead music. Garcia’s estate issued an emphatic statement, saying, “We want to make clear that neither Grateful Dead Productions nor the Jerry Garcia Family LLC are in any way working with — or are in any other way affiliated with — the supposed upcoming Amir Bar-Lev-directed biopic about Jerry Garcia.” Variety reports that Bar-Lev still has the potential to use songs Garcia covered early in his career, a selection that by my count spans from Otis Redding’s “Cigarettes & Coffee” to “Dear Prudence” by The Beatles. The real question is who would play Captain Trips in such a film? We’ll have to wait and see, but our money’s on Jack Black. He’s got the chops to pull it off. American Songwriter’s favorite rap star Kanye West took the stage in Singapore last night to perform some new material. This continues his whirlwind tour, which has hit the offices of Twitter, Facebook, and Rolling Stone Magazine—though sadly not ours. The video for the first single of his new album, “Power,” debuts tonight (!!!) right after Jersey Shore (!!!!!!). Boasting the tagline, “IT’S NOT A VIDEO…IT’S A PAINTING,” anticipation is already mounting, even among those without spray-on tans and Ed Hardy shirts.